If you are a regular reader of GeekTech, there’s a good chance you’ve played with your fare share of Lego sets. If you’re looking to spice your Lego brick creations up a bit, Dan at Adafruit has written up a fairly straightforward tutorial on how to add a tiny OLED screen to your projects. To recreate the project, you’re going to need an Arduino board, an OLED board, some wire, and probably a breadboard for good measure. From there, you can upload a basic example sketch, but you can really make the screen do whatever you want it to, be it a train schedule like Dan, or a miniature jumbotron in downtown Lego town. It’s fun to see Arduino and Lego come together under the hands of a creative DIYer to bring us something awesome. It’s inspired me to try my hand at creating something that melds the two myself, just as soon as I can get my Lego bucket from my parents house. 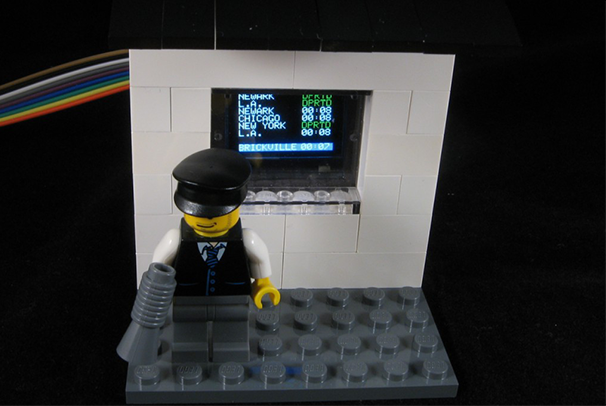 What Lego creation do you think would benefit most from a tiny OLED screen?